Hub City Theatre Group is putting on a production of "Constellations." The Hub Theatre Group is giving performances this week. Bob Chanda, Founder and Executive Director of Hub Theatre Group, visits with the Front Row to share more about the upcoming performances. Tell us about Hub Theatre Group. We started in 2007 and I wanted to create a theatre group that focused on small, award-winning, intense plays that kind of looked at human condition in compelling ways. So, with that vision in mind, we started in 2007 with a play called “Dinner With Friends,” and we’ve been doing plays ever since. This is a theatre group that does very specialized work? Exactly, we’re very specialized. There are certain types of material that really engage me and so those are the kinds of things that I produce. I love the things other people are doing, the family-friendly fair, the musicals, those kinds of things are wonderful, but those are not the things I’m interested in producing. 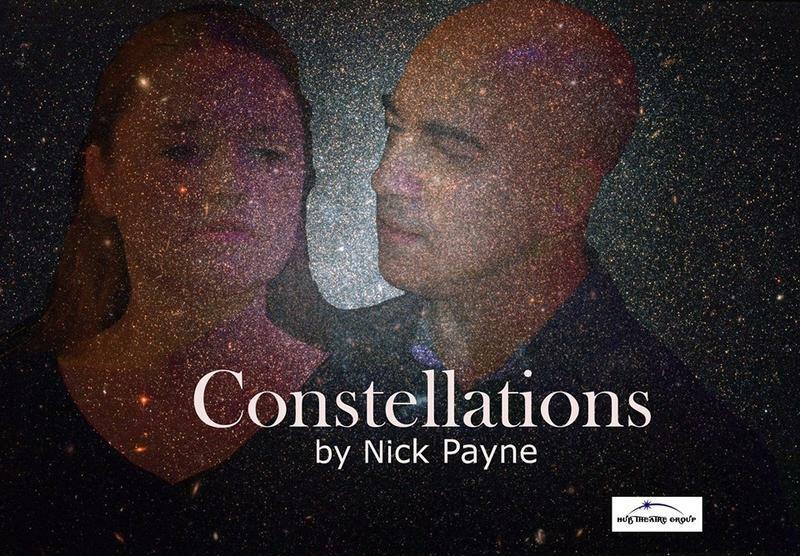 What we’re opening up next week is “Constellations,” which is a play by Nick Payne, which is also really interesting because it is a love story in really a conventional way. It’s a boy meets girl—they have problems, they overcome it together—the enduring power of love. But the structure is interesting and beautiful and it demands a lot of the actors because you will see in this play, it will open with two people meeting at a party—just a snippet of their first meet—and then suddenly something changes and you’re seeing it again, but now it’s slightly different. So, Nick Payne in this play is sort of exploring the idea of multi-verses and multiple realities and the idea of how the decisions and choices we make in any moment can sort of determine the path we take for the rest of our lives, or determine what will happen to us. Where did you find this play? I’m constantly reading plays and I began to look at—because I like doing small plays—what we call two-handers, which are plays with only two characters and I found a number of them, which we’ve produced.